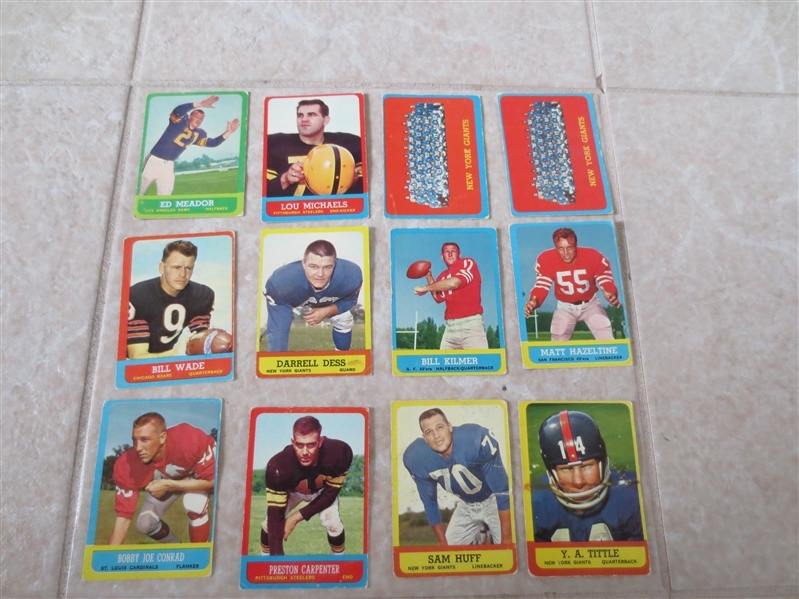 What we have here are twelve 1963 Topps football cards including Y.A. 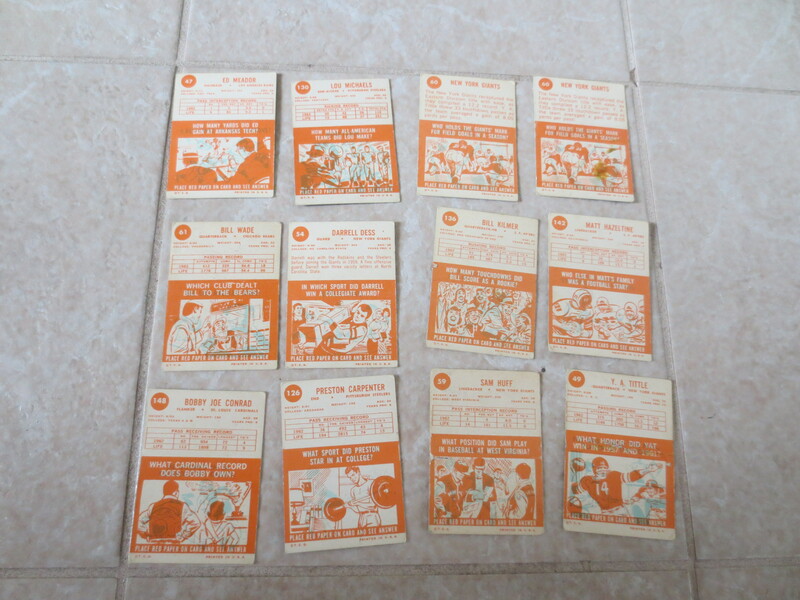 Tittle, Sam Huff, Ed Meador, Matt Hazeltine, New York Giants team (2), and more. I grade the group good to very good. The Tittle is really bad (see photo).